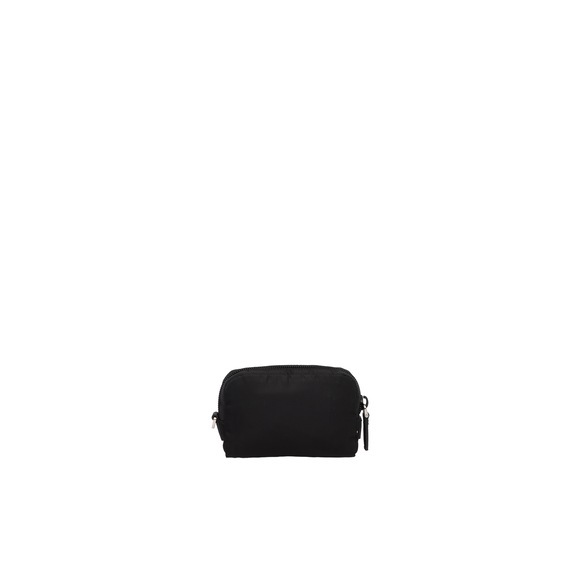 A cosmetic pouch accented with polished steel hardware. 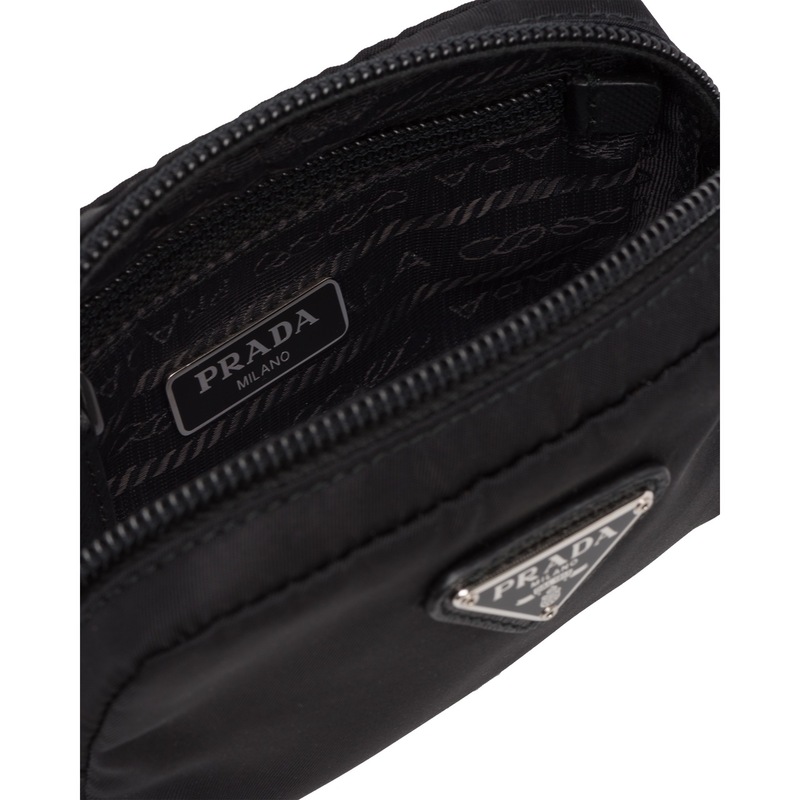 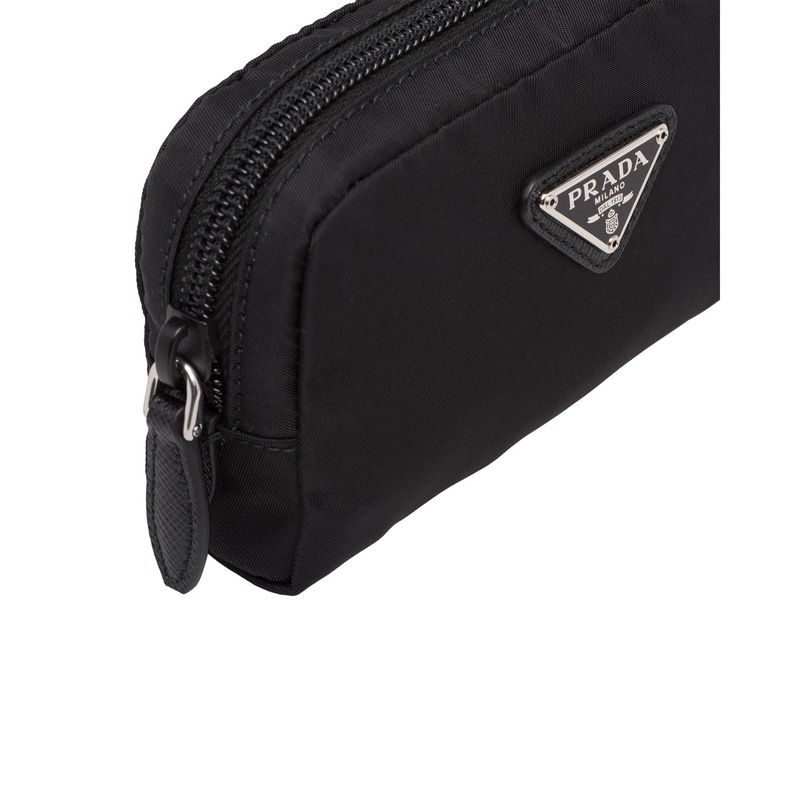 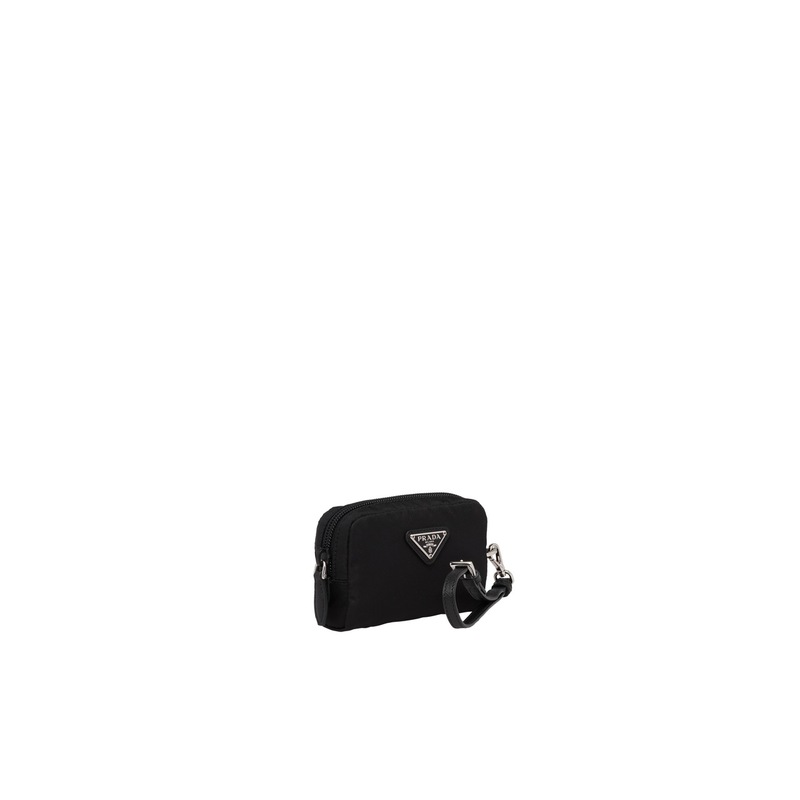 The Prada logo decorates the front while the zipper closure reveals one main compartment with logo lining. 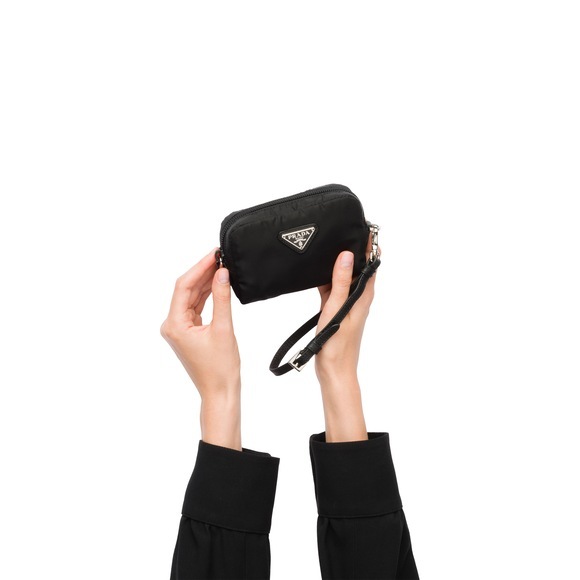 The detachable leather wristlet lends versatility.